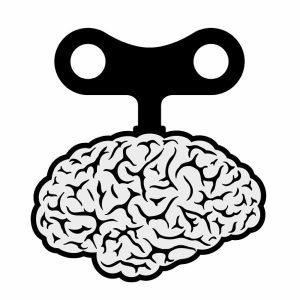 The Meditation Machine is an easily portable meditative tool for helping your mind experience consistently deep meditative sessions … without any conscious effort. The Meditation Machine generates an incredible display of visual (via glasses) and audio (via headphones or earbuds) stimuli designed specifically for guiding brainwaves to slow down and focus inwardly. The Meditation Machine is versatile, and can be used before, during or after your regular Yoga workout. Many of our clients attend Yoga classes, and prior to their training use a 15 minute Meditation Machine warm up program. They find it to be an excellent method for focusing on their Yoga instruction and getting more out of their subsequent personal practice. For anyone that has trouble letting go, is conscious of their breathing while meditating, are restless and have difficulty sitting still, lack consistency in having positive meditative sessions, or dwelling on unnecessary thoughts and brain chatter, the Meditation Machine could be a very liberating release for their meditative experiences. Brainwave entrainment is why the Meditation Machine works so well with Yoga meditation: Our minds "think" in terms of frequency. Brainwaves change frequencies based on neural activity within the brain, be it by hearing, touch, smell, vision and/or taste. These senses respond to activity from the environment and transmit that information to the brain via electrical signals. Hearing and vision are considered favorable senses for affecting brainwaves safely. By presenting the Meditation Machine’s audio beats and visual pulses to the brain, within a few minutes the brain begins to mimic or follow the same frequencies as the stimuli (the beats and pulses). This process is referred to as entrainment. In essence, the Meditation Machine speaks to the mind in it's own language- the language of frequency. Meditation teaches us to focus inwardly, synchronizing brainwave pathways leading to complete mental, emotional and physical oneness. Maximize your next meditative experience with light and sound and sense how the Meditation Machine quiets your mind. With the Meditation Machine your mind becomes naturally quiet through the process of entrainment. Brainwave entrainment is what occurs from the Frequency Following Response (FFR). Through the use of audio (headphones or earbuds) and visual (eye frames with LEDs) stimulation, listeners are gently guided into specific states of mind. Each audio beat and light pulse is a specific frequency. Our minds "think" in terms of frequency. Brainwaves change frequencies based on neural activity within the brain, be it by hearing, touch, smell, vision and/or taste. These senses respond to activity from the environment and transmit that information to the brain via electrical signals. Hearing and vision are considered favorable senses for affecting brainwaves safely. By presenting these beats and pulses to the brain, within a few minutes the brain begins to mimic or follow the same frequencies as the stimuli (the beats and pulses). This process is referred to as entrainment. In essence, the Meditation Machine speaks to the mind in it's own language- the language of frequency. 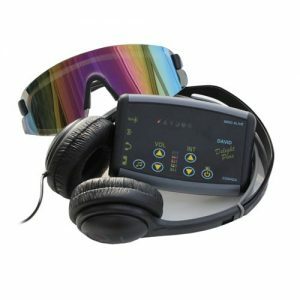 As an example of the positive effects light and sound stimulation can elicit upon our own personal meditative techniques, consider since the 1996 Olympic Games in Atlanta, over 60 U.S. Olympians have incorporated light, sound and the instruction of meditative brainwave focus training into their pre-Olympic workout regiment. They all brought home medals. All of these Olympians received their focus training from Rayma Ditson-Sommer, Ph.D., in Scottsdale, AZ. Dr. Sommer is considered a leading researcher in Sports Focus Training and has constantly demonstrated the benefits of light and sound through the successes of her professional and amateur athletes. 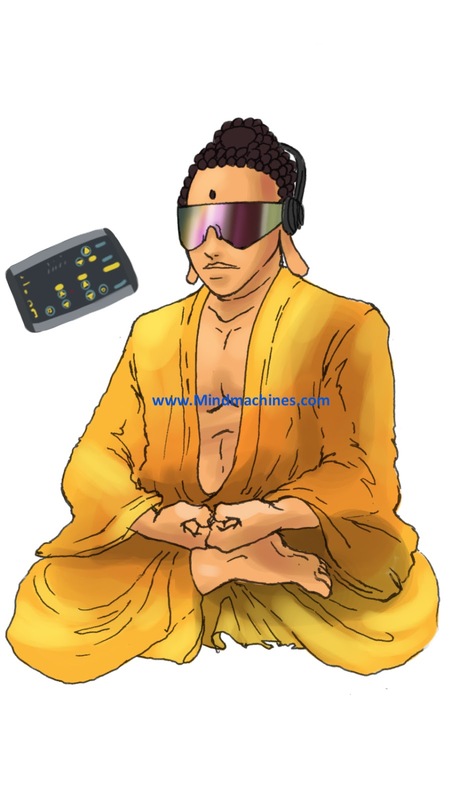 The Meditation Machine comes with: DAVID Delight Plus unit, Tru-Vu Omniscreen eyeset and carrying case, headphones, stereo patch cord, carry bag, 9-volt battery, AC adapter and operator’s manual. Options include: DAVID session editor, extra user package, Tru-Vu Omniscreen Multicolor eyeset and for ‘eyes open’ use the Tru-Vu Omniscreen Viewhole eyeset.